Tortoise Facts, Fiction, and Fun! Looking for a bit of fun? How about a story or two? If it's about the tortoise, you'll find it here. Whether you have a school assignment, a healthy curiosity, or an itchy funny-bone, I've got what you want. That's because I'm a tortoise myself and I know my kind from the inside out. . .
. . .and not many can say they know the inside of a tortoise. 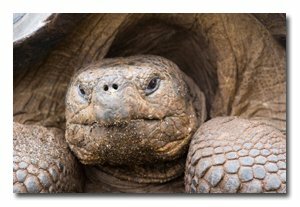 Watch videos, view photos, and learn more than you thought you wanted to know about tortoises and some of our friends. We're often old, usually slow, more friendly than most imagine, and considered wise by those who are wise themselves. No wonder people have pondered us from the beginnings of time. We save just enough of our secrets to keep you humans guessing and coming back for more. No, I can't tell you all the secrets. But I'll share what I can. And I'll have help. Anyone who wants to share any aspect of tortoise life, lore, and laughter can contact me from this site. If you wow me with your information or make me laugh out loud, I'll put your information here for others to see. I'll have the usual information you would expect to find about tortoises, even some about our cousins the turtles and the terrapins. But I'll have something you won't find easily on the Internet. . . Since I'm a mascot of SiteSell, a great Web business building company, I'll have information about how the way of the tortoise can help you to succeed on the Internet. I'm not just a pretty face, although I do think I have a certain something. I'm your one-stop spot for tortoise information. Check out the links below to sample what I've got for you. And keep it slow and steady. Shelly the SBI tortoise keeps the world informed of facts, fiction, and fun about tortoises, turtles, and terrapins. Whether that reptile with a shell is a tortoise, turtle, or terrapin depends not only on what it looks like, but where you live. Regardless of its name, you'll find the facts here. Tortoise stories come from cultures all around the world. Shelly the SBI tortoise shares the best tortoise tales with her Internet friends. You'll love all the cool tortoise stuff Shelly posts to her Web site. Some is free, some costs a bit, but it's all fun, fun, fun! Which are exotic pets? Should you have one? How do you care for one? What do you do when things go wrong? Shelly talks about her exotic pet friends. A tortoise family is a large family. Shelly shares her tortoise family, and their humans, with the world. Check out the activities of these busy tortoises. Learn about Shelly, the SBI! tortoise, where she came from and where she's going. Use the contact form to leave a message about the Web site for Shelly the tortoise. Never mind the tortoise and the hare. Watch this killer tortoise torment the cats. He's not as slow or as gentle as people think he should be. Tortoise vs. cat. Who will win? A cat replies to the popular YouTube killer tortoise video. Place your vote for the tortoise or the cat. Natural and man-made disasters mean that there is need for turtle and tortoise rescue operations. Links to adoption sites and other chelonian rescue agencies.